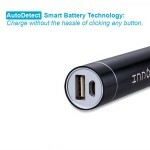 Innogie 3,200 mAh Charger for $6! 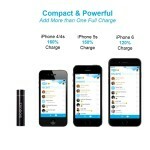 You are at:Home»DEALS»Innogie 3,200 mAh Charger for $6! Portable chargers have evolved (and become more affordable) in the past couple of years. What use to be bulky and impractical, is now small, sleek, portable and useful. A prime example is the Innogie Portable Charger, this “lipstick” size gadget, packs 3,200 mAh battery, meaning it can fully charge your iPhone 6, Galaxy Note 5, pretty much all smartphones out there. 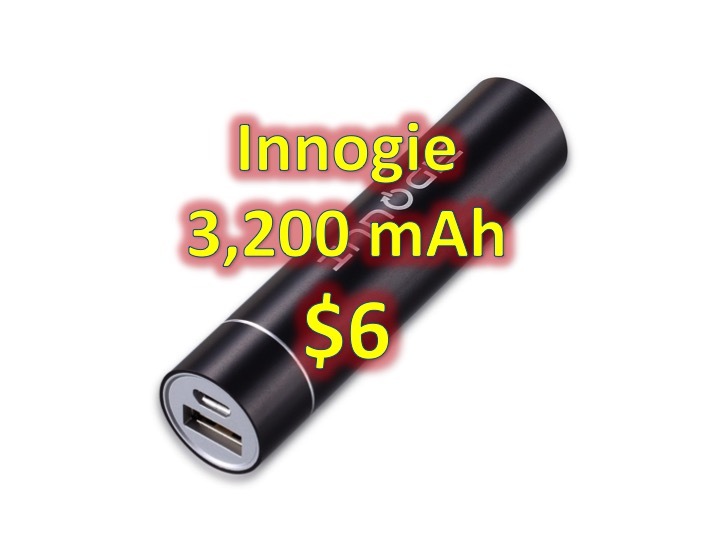 The best part is for a limited time, the Innogie Portable Charger, which comes in 3 different colors: black, pink and silver, are on sale for $6, with code: 74QV74AQ (for black), FW276YBW (for pink and silver colors), to apply at check out. This also comes with free shipping, if you have Amazon Prime, click here to try Amazon Prime free for 30 days . Do you prefer this slim portable charger or do you prefer a bigger one to charge your devices more than once? Tweet us @AsianGeekSquad.